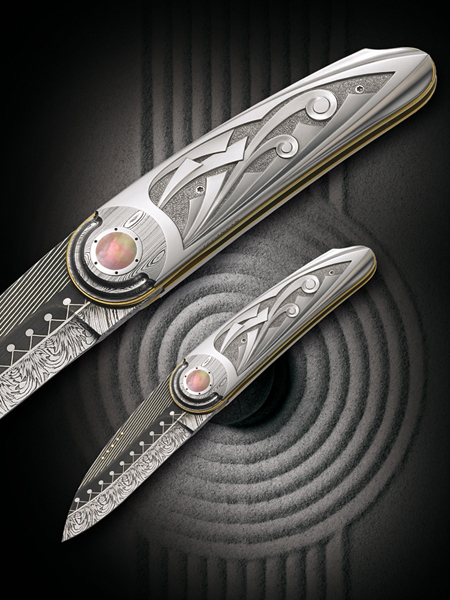 Owen became interested in making knives in 1972 and seven years later became South Africa's first professional knifemaker. In 1980 he was involved in founding the Knifemakers' Guild of Southern Africa and was chairman of the organization for 10 years. 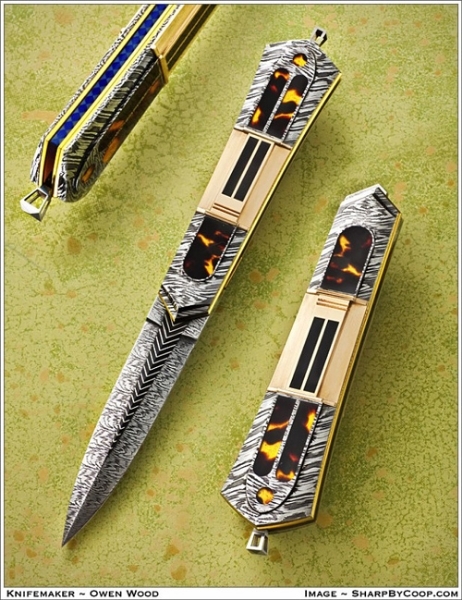 Eventually his attention was drawn to the international knife making scene, and he has exhibited annually in the US since 1982. On a less regular basis he has exhibited in France Germany, Switzerland and Italy. 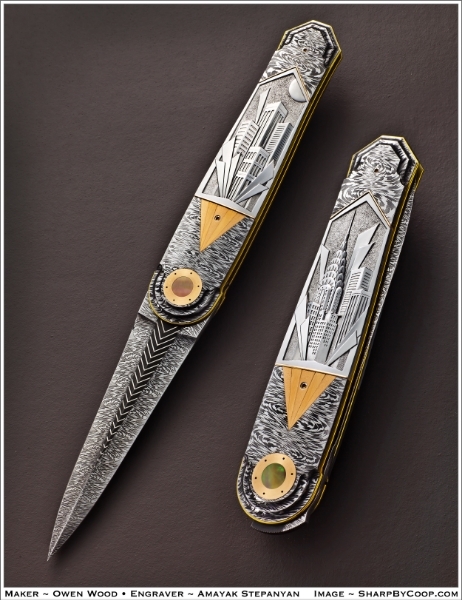 In 1999 Owen and his family moved from South Africa to Denver, Colorado, where he spent two years working for Spyderco, both in their research and development department, and running their Golden factory before returning to full-time knife making. But in the end it is Owen's approach to design that really makes him stand out. He sees the knife as a complete object, and he tries to design the entire knife, handle, scales, bolsters, pommel and blade into a fully integrated work of art. When he makes his steel he is thinking of how the pattern of the blade will integrate with the elements in the handle, and of course, the overall shape of the knife. In choosing material for a bolster or pommel he takes a similar approach. This integrated approach also applies to to the scale or handle material, particularly when it has strong directional qualities. Similarly he feels the engravers work should complement the design as well. In collaborating with an engraver, Owen believes their ideas should run in a similar vein to his own in order to create a truly great piece. Owen also feels strongly about textures and levels of detail, that is the knife should hold a collectors' interest from all aspects. This includes shape and color as well as texture. Examples of this attention to detail include raised liners, chamfered corners, sunken back spacers, decorated pins or rivets and other similar design nuances.